SAGE India Digest: Are the Tribals really benefitting from Forest acts and policies? Over the century, Forest acts and policies have claimed to conserve and provide the equitable and justifiable distribution of forest resources among the human populace. Since pre and post-independence periods the development of National forest policies and acts have undergone many changes from revenue generation to livelihood generation and finally to sustainability. Still, these leaps could not provide social equity and justice to the deserving communities. 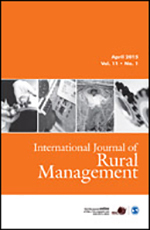 An article in the International Journal of Rural Management attempts to address the major trends in the Indian forest policies from 1865 to 2006 and their relationships with the rights and livelihood of the forest dwelling tribal communities (FDTCs). The formulation of laws probably begins with the assumptions that these are meant to protect, conserve and manage forest resources. Throughout these policies and acts the rights and interests of FDTCs are ignored. The article, in detail reviews these forest legislations in the pre- and post-colonial periods and also talks about the trauma that tribals faced due to evictions from their ancestral lands that created turbulence among them. Tribal society the repository of social capital at one time has lost its value. The de facto occupied and cultivated lands of tribal are trademarked as illegal and encroachment by the State and their interests have been marginalized. The article concludes on the note that Forest policies and acts have become merely the instruments for the government to pursue its economic interests. The recent Forest Rights Act (FRA) gives scope to the FDTCs to participate in the process of forest governance and thus believed to address the historical injustice. But at the implementation level transparency and accountability of FRA is uncertain. Autocratic nature of the centre leads to over-exploitation, mismanagement and inequitable distribution of existing forest resources.